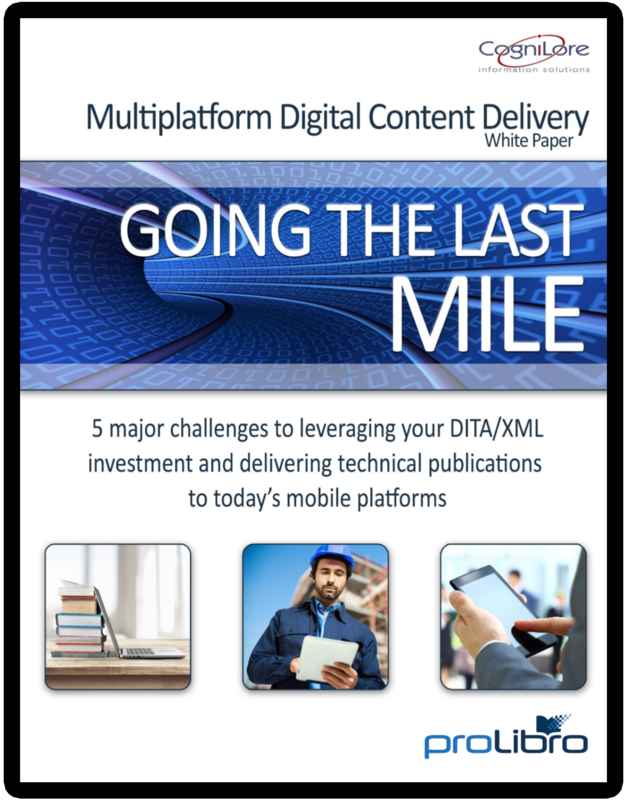 Corporate technical publications departments have invested millions of dollars in migrating their content away from proprietary authoring and publishing tools (e.g., MS-Word, Adobe FrameMaker) and implementing the content standards for content markup (such as DITA, XML). In many ways, these projects have proven to be hugely successful, resulting in increased content reuse and overall reduced costs related to content production. Now, with the rise of new mobile platforms and usage policies such as BYOD, new challenges face technical publication content owners. Customers expect to be able to effortlessly access content interchangeably on multiple devices and operating systems. To meet this demand, content owners have been forced to settle for the lowest common denominator of PDF or primitive and often expensive eReader solutions based on formats such as EPUB, Mobi, KF8, or HTML, resulting in a poor customer experience, particularly when using mobile devices.